So I am only a few weeks into planning our wedding, and I am already a bit overwhelmed. It is a good thing – the TypeA in me is enjoying planning every detail – but I have to admit I had underestimated how many fine details there are to pulling off your perfect day. Everything from flowers to cakes to Gifts for Bridesmaids and Gifts for Groomsmen – the list seems to go on and on. Even though we have a couple months to go – three months and eight days to be exact – I have already begun purchasing things for our Wedding Party that I know they will love. Since everything about our wedding is going to be unique, I wanted to find some Unique Bridesmaid Gifts for my girls that they would cherish forever but that also goes along with the theme and feel of our wedding. I discovered a company called UncommonGoods and to be honest… it has been difficult not to buy it ALL. UncommonGoods specializes in handmade, organic, and recycled products where sustainability is the #1 priority. They want to make a positive impact on the workplace beyond just “being green,” and even offer a Better To Give Program which allows you to select a non-profit at checkout to send a donation to. Now I do not want to give away too much about our wedding, but let’s just say that Mike and I both agree that it is better to give than to receive, and after nearly nine years together there is nothing we “need” anyway… I love that I can purchase the things I need for my wedding while giving back to those in need. It is a total win-win. 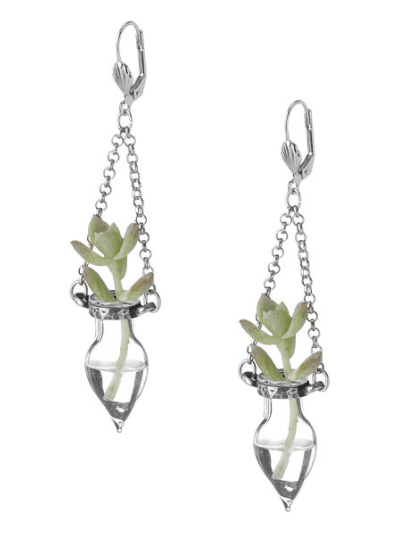 I absolutely must have these Blossoms Earrings – made by an artist in California. Succulents are all the rage right now – and I have to admit I have jumped on the bandwagon in a big way! These earrings come with a tiny little cork, so you can choose what you want to put inside. 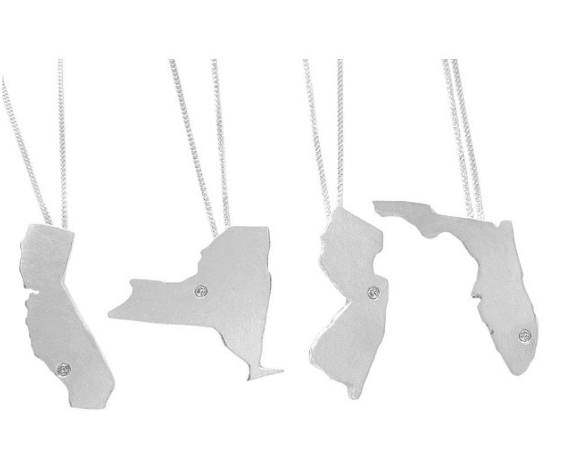 I also love these Customized State Necklaces. Often times when I see a Florida Necklace, the stone or heart is in the wrong part of the state! These beautiful Sterling Silver necklaces are customizable so you can choose where you want your diamond placed! How cool is that!?! I have to think that this artist from Kansas knows how much we love our small towns, so when you check out you tell her which zip code to place your little 1.9mm white diamond. My heart – and my diamond – belongs in Pensacola! 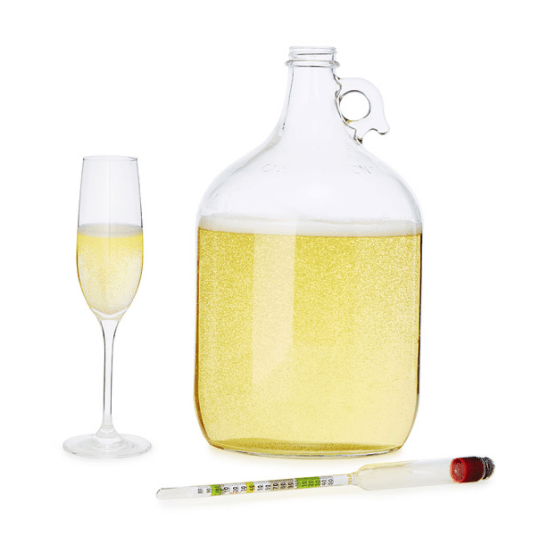 If you would prefer not going the jewelry route, how about something like this Sparking Wine Making Kit? I am not sure there is anything better than being able to make your own bubbly – especially if you are a wine-loving bride like yours truly. This Spa Tower would make a great gift for Bridesmaids, Mother of the Bride, Mother of the Groom – or even the Wedding Planner! 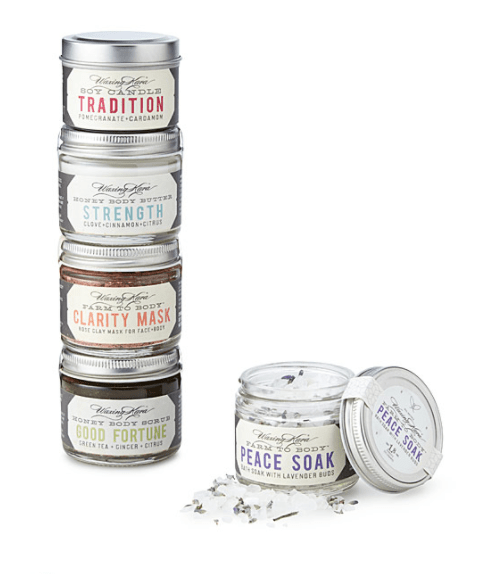 “Inside the five glass jars stacked in the tower you’ll find a honey scrub, soak, mask, honey body butter, and a fragrant candle that all work together to transform your humble bathroom into a soothing Eastern Shore spa retreat.” Perfect! 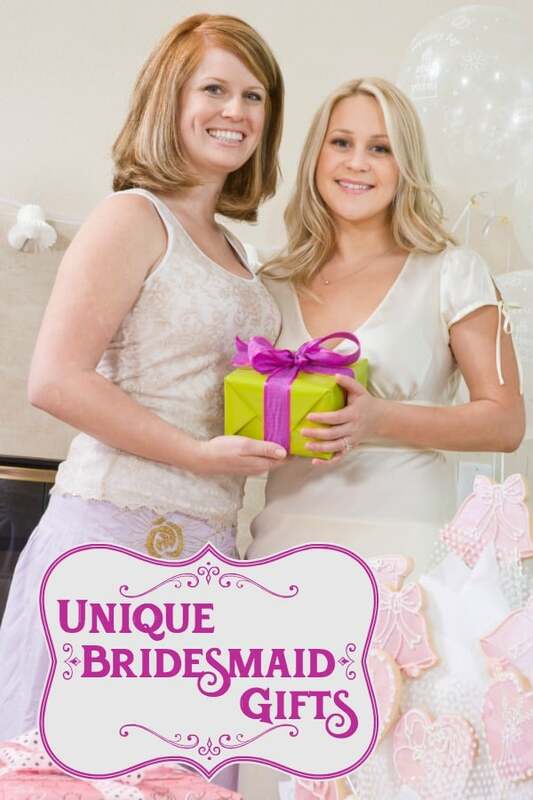 If you are looking for Customizable Wedding Gifts or Gifts For The Bridal Shower, UncommonGoods has you covered too! I mean how incredible is this Personalized Cutting Board?!! I have never seen anything like it! I just love that UncommonGoods offers all kinds of gifts, jewelry, home decor, and more that are as unique and beautiful as they are sustainable. From helping those in low-income countries to live better lives to helping artisans share their creative gift with the world, you can feel good about every purchase. Check out everything they have to offer at UncommonGoods.com. 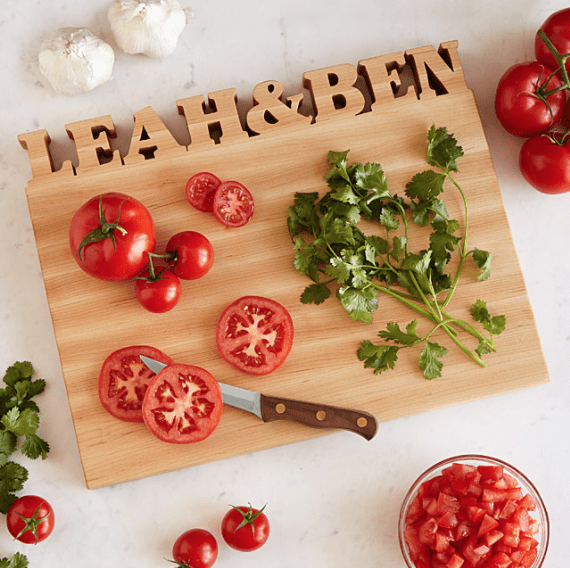 I think that the personalized cutting board is a great idea!